Silent Air pumps are very powerful for their size and make virtually no noise and can be used for many different applications like quarantine or hospital tanks, and protein skimmers that still used wooden air stones. We suggest always having a proper sized air pump on hand in the event of pump failure to keep the water oxygenated. 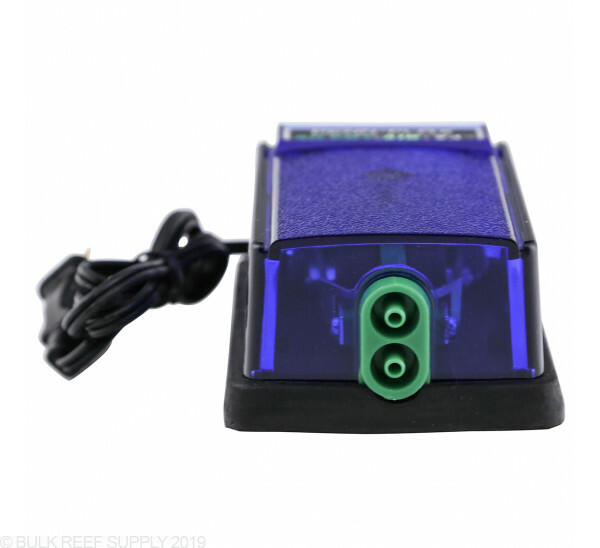 Air pumps have many different uses around the aquarium, from powering under-gravel filters, to protein skimmers a simple air pump is always a smart idea to have on hand. 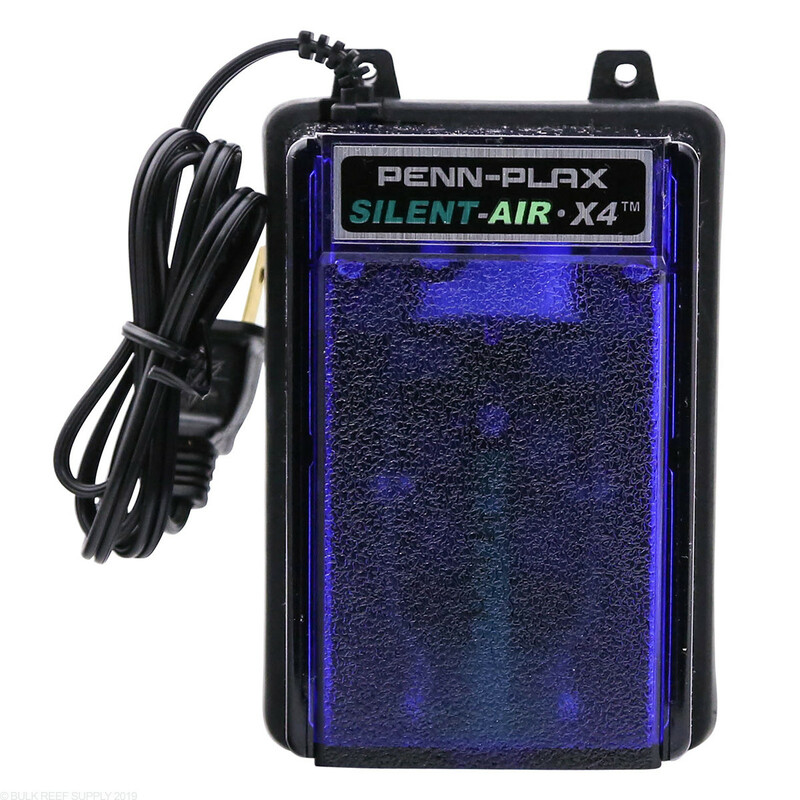 Pair up a Silent Air pump with a sponge filter to make a perfect and easy to care for hospital, or quarantine tank with minimal investment. 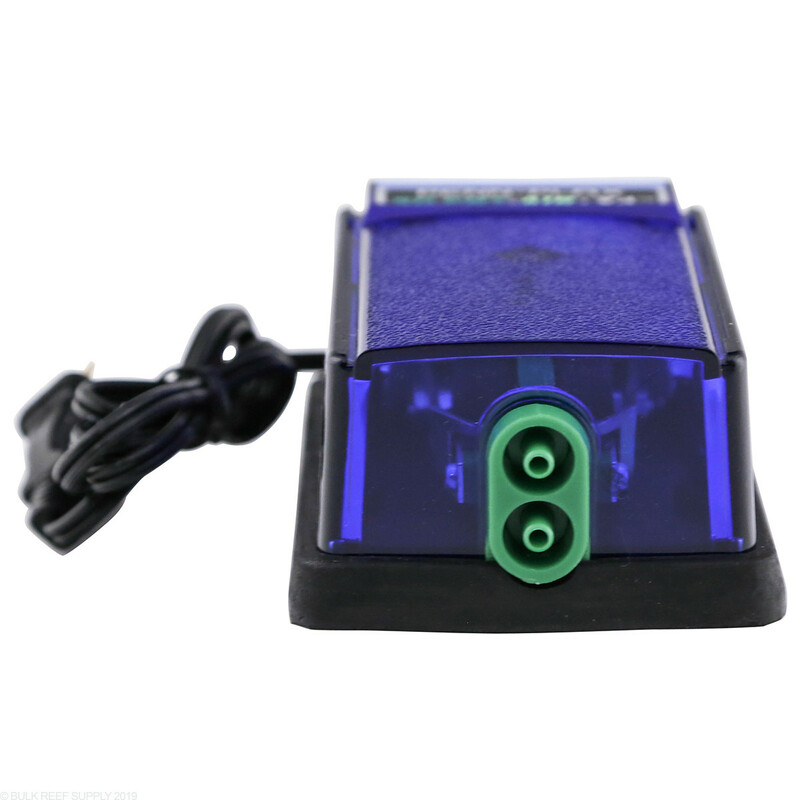 The rubber base-pad keeps the air pump running silent while in operation. The base-pad also has integrated mounting screw holes for increased flexibility depending on where you need to mount the pump.